There seems to be a little mystery surrounding who designed the shoes worn by Queen Elizabeth II for her coronation ceremonies. Although widely purported to have worn gold leather and ruby encrusted Roger Vivier heeled sandals for her June 2, 1953 coronation, not one peep toe (or otherwise) can be seen beneath Queen Elizabeth II's Norman Hartnell white satin and pearl encrusted gown. The majority of pre-coronation photographs of Princess Elizabeth show her wearing British designer H & M Rayne couture footwear. At the time of the coronation, Rayne was the holder of the Royal Warrant to Queen Mary, the Queen Mother, and then Princess Elizabeth. As she had chosen a British fashion designer for her coronation gown, it seems probable the Queen would also appoint a British shoe designer. "...design by Roger Vivier of the coronation shoes of Queen Elizabeth II 1953, created in association with English manufacturers, Rayne." 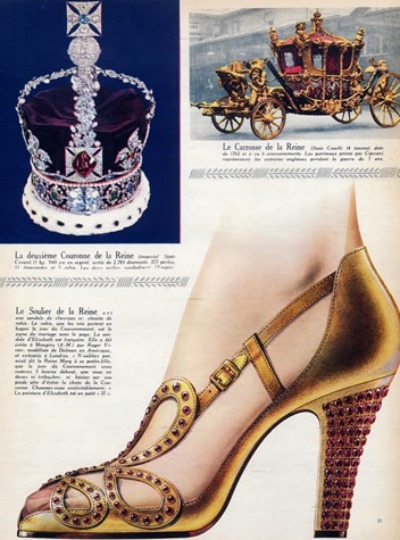 While H. R. Rayne does claim they designed the shoes for then Princess Elizabeth's wedding, no mention is made of a collaboration with Vivier for the coronation shoes. French shoe maker, Roger Vivier began his career in the late 1920's where he designed for top shoe manufacturers Bally, Salamander, Delman, Rayne, and Christian Dior. He is celebrated for his innovative design of the stiletto and comma heels and became known as the Faberge of Footwear. 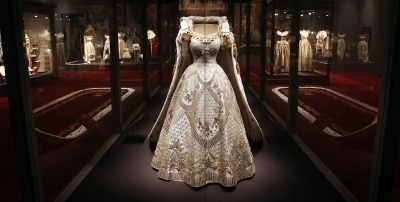 Jonathan Walford, fashion historian and co-founder of The Fashion History Museum, spoke with a former curator at Kinsington Palace who states, "There are no surviving (coronation) shoes that they know of and no record of them being Vivier." You can read the entire article HERE. While it is doubtful the Princess would have been shod by an American manufacturer, the style and comfort found in the fifties' era Delman shoe made them fit for a Queen. 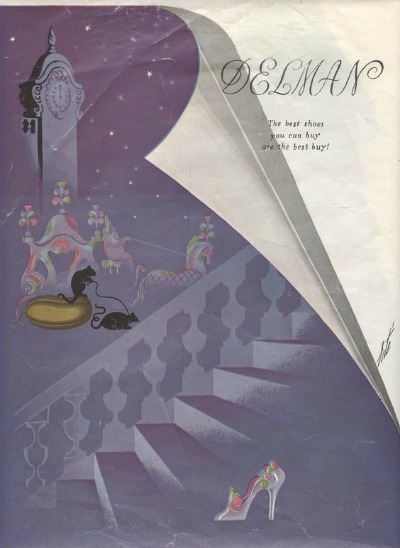 Opening a small custom shoe shop in 1919, Herman Delman hired top designers like Roger Vivier to create luxurious footwear for his wealthy clientele. He used the best materials and employed the most skilled craftsmen to construct his shoes. Delman products are the epitome of glamor and quality. An accomplished promoter, Delman designed culturally significant shoes such as Queen Elizabeth II's coronation shoes and Cinderella's slipper for his ready to wear line. Delman is also remembered as a pioneer in celebrity product endorsements. Today Delman Shoes is owned by Nina Shoes. 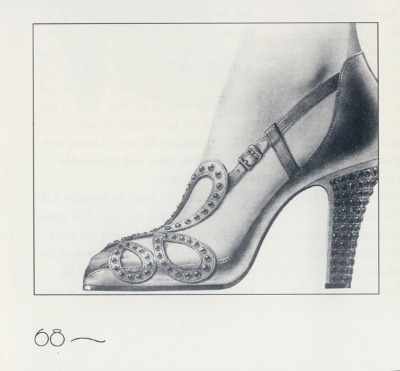 Another thought put forth by Mr. Walford is that considering how long the Queen would be standing and the fact that the shoe would not be seen, it is unlikely she would have worn a high heeled shoe as depicted in the Vivier drawing. While there are photographs of a younger Princess Elizabeth in thinner and higher heels, it appears the Queen has preferred a sturdy pump for decades. Today she elects to wear custom made Anello & Davide footwear exclusively. Founded in 1922, Anello & Davide is a London based shoe making company who specializes in high quality and fashionable footwear for men and women. They have supplied shoes for theatrical and ballet performers since the 1930's. The shoemakers are perhaps best known for their creation of the Beatles boot. They also provided footwear for the Indiana Jones and Star Wars film franchises. They were granted the Royal Warrant for Her Majesty the Queen in 2001. So, here is my question. In the sixty-four years since the coronation, why has no one asked Queen Elizabeth who made the shoes?